The new RM-MULTI and RM MULTI DELUXE CASES hold up to four of the most popular receivers and transmitters (Lectrosonics, Micron, Vega, Sony, etc.). Pocket: 8.0 x 1.0 x 4.0″. The case is an important component in carrying and protecting these audio components. Adam Hall - Rack studio pour matériels 19" - 12U. Adam Hall - Rack 19" - 12U. LIVE SOUND. Stand pour rack de 12 Unités de hauteur. Adam Hall - Rack Stand 12 U. Rack stand 12 units high. 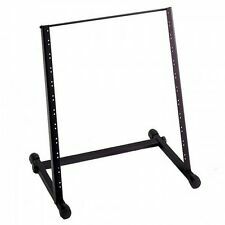 Hauteur du rack 56cm. Magma CTRL Case MCX-8000 [MGA47994]. The MGA47994 Box Includes Magma MGA47994 Specifications. (1) Magma CTRL Case MCX-8000. The case is crafted from lightweight Durashock molded EVA foam and water repellent polyester exterior. FREESTANDING DESKTOP 3U STUDIO RACK. 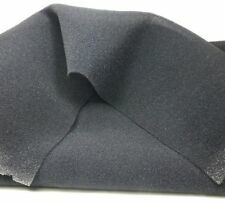 MADE FROM MDF AND FINISHED IN 'TUF CAB' AN ACRYLIC THIXOTROPIC VISCOUS COATING, COMMONLY USED ON PROFESSIONAL SPEAKER CABINETS. 10 DEGREE SLOPING DESIGN WITH A FLAT TOP FOR MONITORS ETC. Our cases are super strong and properly sized. Height: 5.5 " (139.7mm). Width: 12.5 "(317.5mm). Length: 21 " (533.4mm). Length :22 " (558.8mm). Width : 14"(355.6mm). Height :7" (177.8mm). Our cases are super strong and properly sized. Height : 14.5" (368.2mm). MAKE AN OFFER! 1YR WARRANTY! HOLDS 150 LBS! FAST SHIP! (2) JBL Bags EON612-CVR Deluxe Protective EON612 Speaker Covers Bundle with Reusable Cable Ties & Universal Utility Bag. JBL Bags EON612-CVR Deluxe Protective EON612 Speaker Cover. (2) JBL Bags EON612-CVR Deluxe Protective EON612 Speaker Covers. Buy the components you need to assemble a flight case in a kit. Most cases require a combination of handles, catches, corners, braces, hinges, and rivets. 150 Rivets. 8 corner braces. Black Hex/Aluminium flight case designed specifically to transport a Mitsubishi CPD70DW printer for total protection. 1x Recessed dish handle on the front. 2x Lid-stay hinges hold the lid open at just over 90 degrees. The FR1200E is great for Technics 1200 style turntables but is large enough to hold Numark turntables as well. - Empty Sub Boxes. - Signal Processors. - Dash Kits. - Signal Path Devices. Subwoofer Exception : Our warranty does not cover blown voice coils, or subwoofers that have been punctured. Magma LP Bag 40 II Record Bag [MGA42640]. (1) Magma LP Bag 40 II Record Bag [MGA42640]. © 2017 I DJ NOW. Any use of this material including all content, images and design, without prior written consent from IDJNOW, is strictly prohibited by law. Black Hexagrip/Aluminium flight case designed to hold 300x 7" singles in paper sleeves. 1x Dish handle fitted on the top. Total capacity 300x 7" singles in paper sleeves. 2x dividers providing 3x rows of 100x 7" singles. The ADJ PRO-ETB is black carrying bag accessory for Pro Event Table. Protect your Pro Event Tables from dust, dings and scratches. © 2017 I DJ NOW. Any use of this material including all content, images and design, without prior written consent from IDJNOW, is strictly prohibited by law. Ou r ATA Flight Cases are designed to properly hold 7" vinyl records in their jackets. Our cases are super strong and properly sized. This is Our NEW 7" Dbl Row Stackable Record Box ATA Flight Case. These 2 Space Rack Case are made of 3/8" Plywood and have a smooth laminated exterior. These racks are also versatile enough to be used as a server cabinet for networking. Steel rack rails - Front and rear rack rails | Front and rear removable doors with foam padding. Black hex/Aluminium flight case designed to fit Pioneer XDJ-1000. The unit can be used in the case with enough space at the rear for access to the rear panel connections. 80mm space at the rear of the player for cable access. Our cases are super strong and properly sized. Height: 5.5 " (139.7mm). Width: 13.5 "(342.9mm). Length: 22.5 " (571.5mm). Length :23.5 " (596.9mm). Width : 14.5"(368.3mm). Height :7.25" (184.15mm). This Is Our NEW Multi - Purpose ATA Flight Case. ( Stackable). Our ATA Flight Cases will protect your gear comfortably. Our cases are super strong and properly sized. Height: 6.5"(165.1mm). Width: 9.5" (241.3mm). Supplied assembled with front rack strip fitted. Ideal For, Studio's, Radio, TV, Producers, Pro Audio. 308 High x 300 Deep x 522 wide. Supplied assembled with front rack strip fitted. Ideal For Studio's, Radio, TV, Producers, Pro Audio. Paint etc. AB, BT, CA, DD, HS, IM, IV01-55, JE, KA27-28, KW, LA15-23, PH01-26, PH30-44, PH49-50, PO30-41, TR21-25, ZE. Empty Sub Boxes. The stackable design fits your 1200 Style turntables. Stackable design fits your 1200 Style turntables. - 12 Volt Power Supplies. © 2001-2017 HiFi Sound Connection. 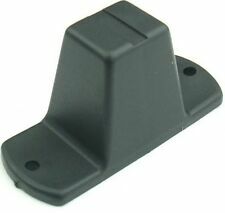 - Mounting Hardware Cases Bags. Black Hex/Aluminium flight case designed to fit a Line 6 Helix guitar effects pedal board. The unit can be operated whilst in the base of the case. 4x Large rubber feet bolted to the base. Authorized SKB Dealer! 2U rack and laptop combo case. Quiet-glide wheels & pull handle. 11.46" rack depth. 1.26" front rack rail to front door depth. 0.75" rear rack rail to rear door depth. Laptop work surface: 19" x 11". Supplied assembled with front rack strip fitted. Ideal For, Studio's, Radio, TV, Producers, Pro Audio. 130 High x 300 Deep x 522 wide. 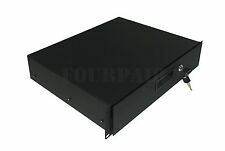 The front panel is made of 1/8" thick aluminum with black anodized finish, the sides, top and bottom are 0.05" thick steel with painted in black, and rear panel is 0.06 thick aluminum with painted in black. Empty Sub Boxes. Flight Ready ATA DJ Pro 45 RPM 7" Vinyl Record Case. Heavy Duty Flight Ready ATA DJ Mixer Case. - Mounting Hardware Cases Bags. - Sound Damping. Pro Audio - Pro Audio. - MP3 Player Accessories. Never used! Bag is an authentic Technics bag. Item Code: FR12MIXE. Authorized Odyssey Dealer! Break away hinges. If the item you chose is more or less money we will work out the price difference with you. Would accommodate most 12" mixers out there. Height: 5 4/16 " (133.35mm). Width: 19 12/16 "(501.65mm). Length: 29 " (736.6mm). Length : 30 8/16 " (774.7mm). Width : 20 4/16"(514.35mm). Height : 6 12/16" (171.45mm). Weise ich aus. Unterschrift des/der Verbraucher(s) (nur bei Mitteilung auf Papier). Vendesi bellissimo box per microfono. Zilla by Neo 100 LP VINYL 12" Record DJ Storage Aluminium DJ Flight Carry Case BoxCan be used to Store 100 vinyl 12 inch Disks.These sturdy, high quality embossed ,aluminium cases guarantee protection from dust, moisture shock and scratches.Their contemporary design includes soft velvet interiorIdeal for both professional and domestic use.In Built Ultra strong hinges complete with lock Click here for more details. This Is Our NEW LASE DDJ -SX/SX2/SX3/ RX Pioneer ATA Glide Style Case. Our cases are super strong and properly sized. 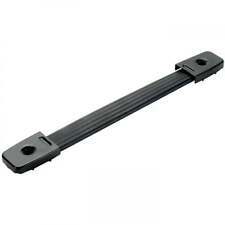 Glide Shelf For Laptop. Height: 6.5 " (165.1mm). Width: 16 3/8 "(415.92mm). Length: 26 " (660.4mm). Most sizes are available with a variety of interiors to accommodate the needs of the traveling musician. These new Mil-Standard Cases are sized to accommodate airline regulations for traveling. COMPUTER MUSIC.